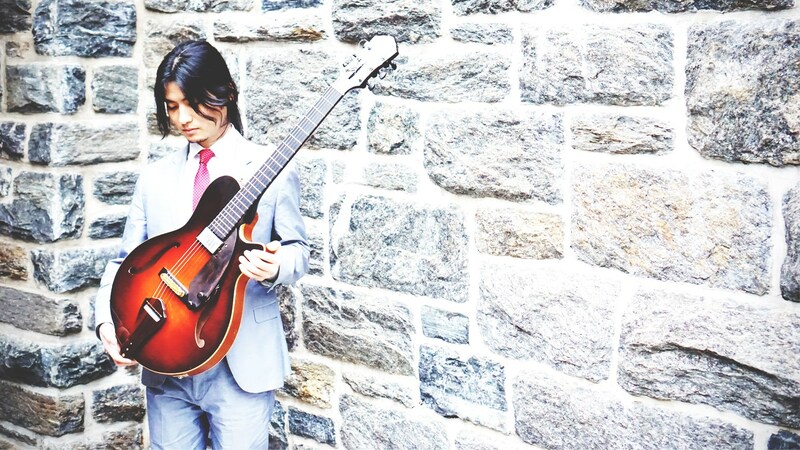 Yuto Kanazawa is a NY based Japanese jazz guitarist and composer. He leads several contemporary jazz projects, also he works with a lot of singers including Grammy winner Kurt Elling. Originally born in Tokyo, Yuto also grew up in Fukushima. He started playing guitar when he was 14 years old and he was performing with local rock bands throughout high school years. Yuto attended Koyo Conservatory Kobe and started playing jazz gigs. He moved to US in 2007 and later he graduated from Berklee College of Music. In 2013, he released first album Earthwards from Interrobang Records and moved to NY. Yuto was a winner in jazz category of International Songwriting Competition that year, also he formed The United East Jazz Quintet (UEJQ) with Korean and Japanese musicians and toured both countries. UEJQ released album in 2014. In 2015, Yuto formed another project in Japan called itellu and released pop/jazz album featuring a singer Ai Ichikawa. He also started performing regularly with his band at Bar Next Door in NY. In 2016, he started playing with jazz pianist Kuni Mikami, a former member of Lionel Hampton. Yuto performed at Teatro Ocampo in Cuernavaca Mexico and Guatemala Jazz Festival with Kuni Mikami trio also taught seminars. In NY, Yuto worked with a Japanese singer Miyoko Sparrow and formed Song Sparrow performing Japanese folk songs in experimental jazz format. Yuto also started playing Brazilian 7string guitar and performed with Brazilian music singer Hiromi Suda at Bluenote NY with Petros Klampanis, Julian Shore and Rogério Boccato. In 2017, Yuto produced duo album Utopia working with Yuto Mitomi and toured Japan featuring a bassist Zach Westfall and a drummer Hironori Suzuki. Also he was playing with funk band Days of Wild every Thursday after midnight at Red Lion in Greenwich Village, and performed with Gregg Errico and Jerry Martini from Sly and Family Stone at BB King Blues Club. In May 2017, Days of Wild performed with Randy Jackson from Zebra at Montauk Music Festival. Yuto also started working regularly with many jazz singers including Rina Komai, Yuto joined her album played with Lonnie Plaxico and Lafayette Harris.